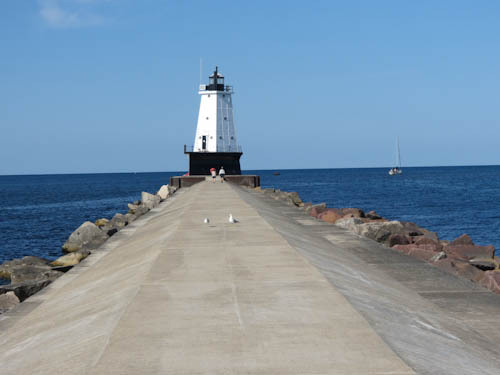 Ludington North Breakwater Lighthouse can be found along the eastern shores of Lake Michigan in the state of Michigan. It is located in Stearns Park and I was able to visit it on a clear day in July. 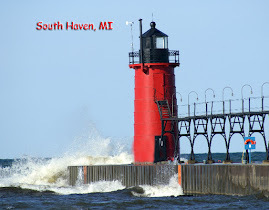 The park was fairly busy and a lot of people were enjoying the stroll down the long pier to reach the 57 foot tall steel plated lighthouse. 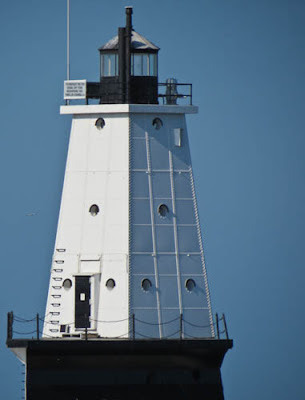 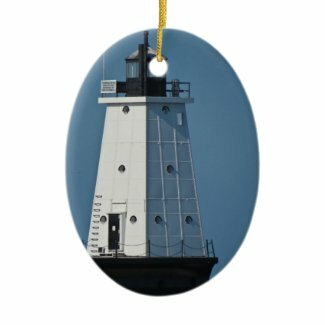 I enjoyed the walk and was able to photograph the lighthouse at various angles.